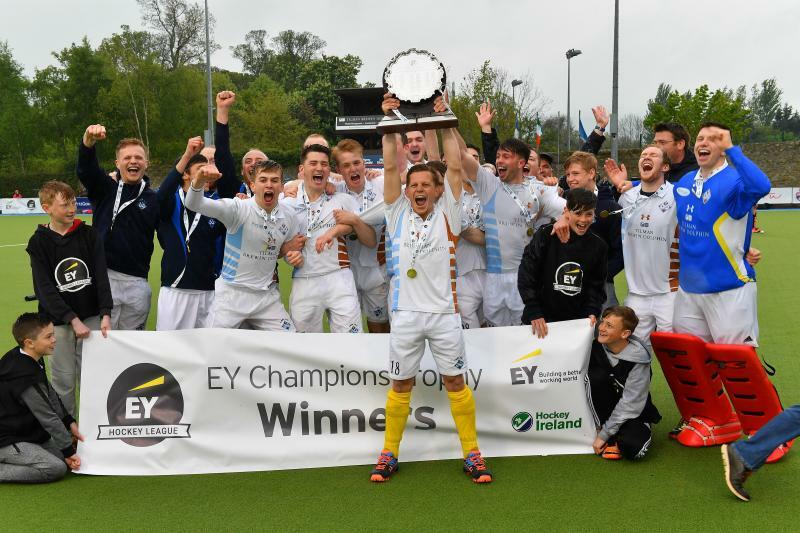 Earlier, Cookstown came from 2-0 down in the first four minutes to beat UCD 4-3 and move back up to the EY Hockey League. Andrew Fogarty and Jeremy Duncan had UCD flying early on and they held the lead into half-time but goals in quick succession from Paul Thompson, Keith Black – a penalty stroke – and Ryan Millar swapped the lead around. Duncan levelled from a corner but Greg Allen scored a sublime winner for the Co Tyrone side.